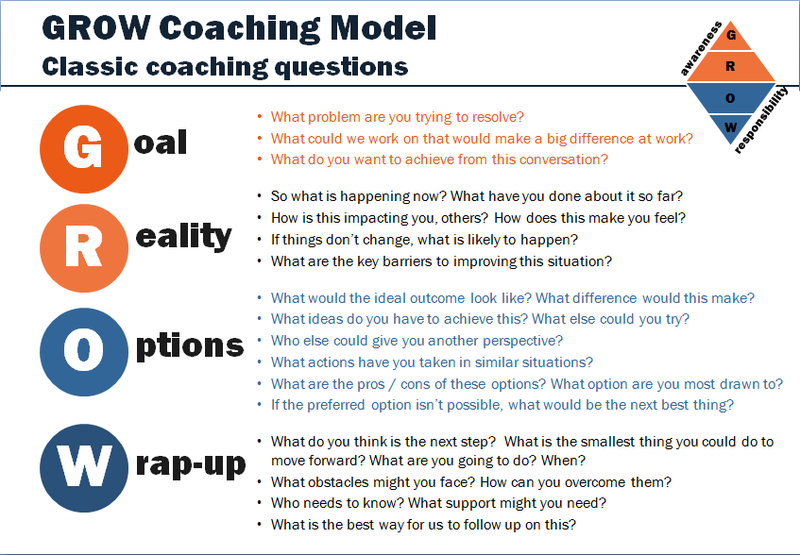 In a previous newsletter we shared our ‘Practical Tips and hints guide on Coaching’ and profiled the GROW coaching model. 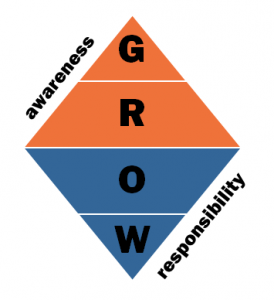 We recently ran a one day program called Coaching Skills and gave our participants an A5 double-sided piece of card with some tips about each stage of GROW and some classic coaching questions to consider at each of the GROW stages. Some current DiA participants have found this useful, so we thought make this available to our newsletter subscribers too. Click here to access the GROW A5 card that you can print on A5. 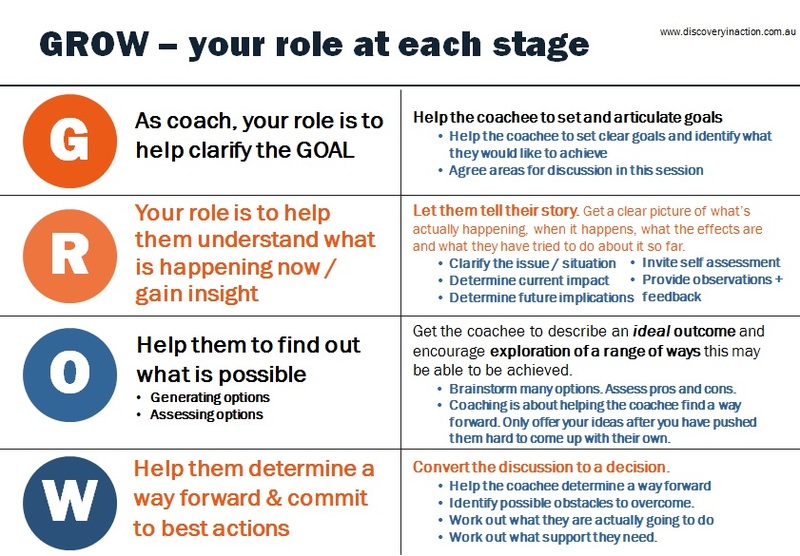 Click here to see more of our posts on GROW and coaching – including an info graphic.